Find a 30s Tribute Band for hire near you in minutes! Option 1. Enter your event location below & contact a 30s Tribute Band directly! Option 2. Request multiple quotes from available 30s Tribute Bands Get Quotes! Option 3. Read information & advice on hiring 30s Tribute Bands Read Advice! WANT TO KNOW MORE ABOUT 1930s Tribute Bands? Read on for the most comprehensive guide to booking a 1930s Tribute Band, including how much a 1930s Tribute Band costs, exactly what they will do at your event, plus tips, advice and information to help make your event one to remember! 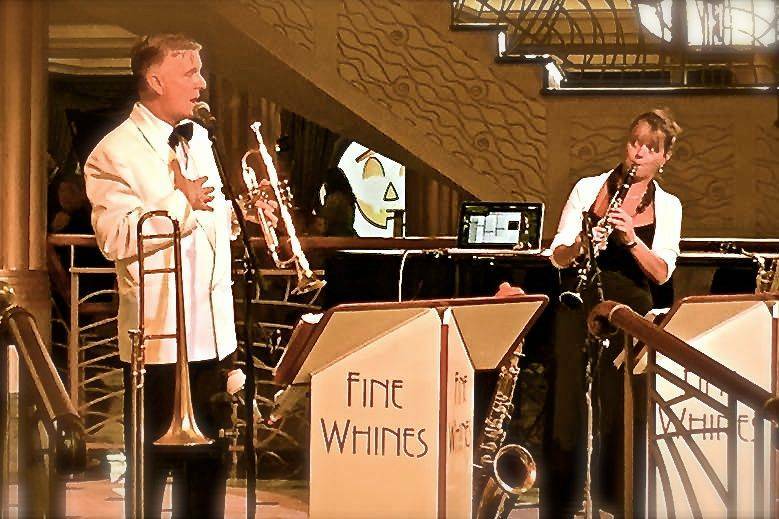 Have that ‘Big Band’ Jazz sound played live at your event by professional musicians who will all be wearing 1930s fashions to make you feel like you've actually time travelled back to the 1930s itself! What exactly will a 1930s Tribute Band do at your event? Hire a 1930s Tribute Band and you will get a group of professional musicians that will have totally absorbed the 1930s music styles and fashions. Yes, there may have been a great depression going on, but the 1930s had some amazingly varied music styles as well like Country and Western, Jazz and Folk! When you hire a 1930s Tribute Band, you can expect them to reflect the music that was popular at that time. This includes the Big Band Jazz era made famous with Big Band leaders such as Duke Ellington, Benny Goodman, Count Basie, Harry James, Artie Shaw, Woody Herman and perhaps the most famous name in American Big Band music, Glen Miller! You can also expect renditions of famous 1930s songs from the Pop music artists of the time that include Bing Crosby, Billie Holiday and the Andrews Sisters! Mainly, a 1930s Tribute Band will entertain your audience with a fantastic live show that will put the wow factor into celebrations and impress your guests, whatever their entertainment tastes may be. What event types are 1930s Tribute Bands hired for? If you’re crazy about the 1930s, then you may want a 1930s styled crooner at your wedding ceremony! The Pop singers of the 1930s were known for their romantic songs and a 1930s Tribute Band can sing 1930s love songs such as ‘Cheek to Cheek’, or ‘I’ve Got You Under My Skin’ as the bride walks down the aisle! The 1930s Tribute Band can then play a celebratory Big Band Jazz number such as Glen Millers ‘In The Mood!’ as the newlyweds sign the register and walk out of the venue man and wife! Book a 1930s Tribute Band for the wedding drinks reception and get a fantastic atmosphere as the happy couple are meeting and greeting guests for the first time that day! Hire a Jazz Combo of piano, bass and a light rhythm section, with trumpet and saxophone bringing in the melodies! 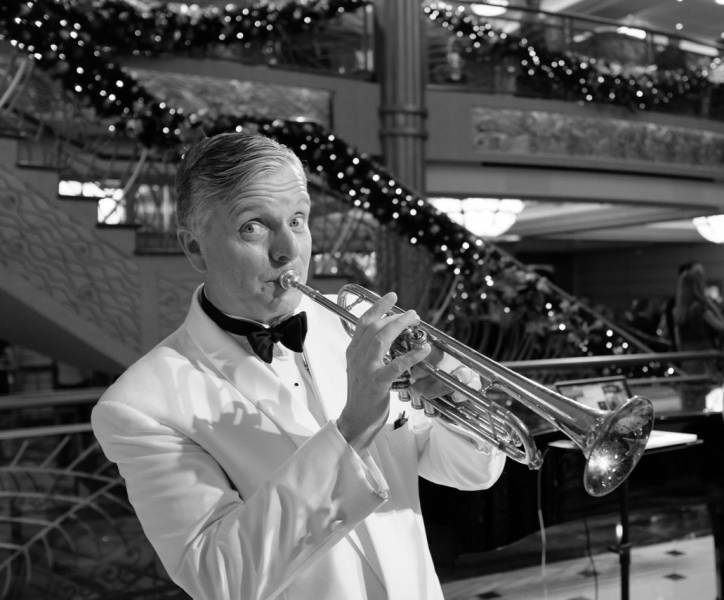 The upbeat 1930s Jazz sounds of saxophones, trumpets and trombones will give an excitable yet mellow mood prior the wedding breakfast! 1930s by playing Jazz and Orchestral instrumentals of the 1930s, which do not have to be showstoppers but can act as gentle pieces of Jazz background music that will add to all the good feelings flying around! They can play as the cake is being cut and before and after the speeches! Hireing a 1930s Tribute Band for your wedding evening entertainment is the ideal music to get you doing 1930s swing dances like the jitterbug! 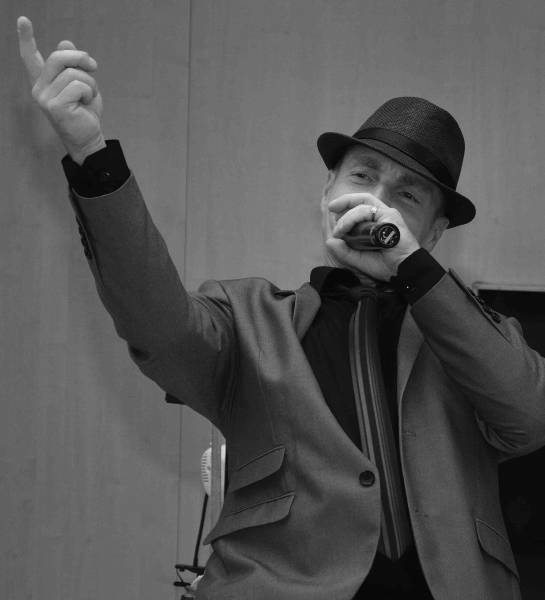 A night of 1930s music won't only involve the great Jazz that we’ve mentioned, but you can also expect respectful renditions of 1930s crooners and Pop singers alike! You might enjoy covers of the most popular songs of the 1930s including: ‘Pennies From Heaven’, ‘When I Take My Sugar to Tea’, ’Stormy Weather’ and ’Strange Fruit’, to name a few! Book a 1930s Tribute Band for your corporate event and you will not be disappointment! The fascination with the 1930s shows no signs of slowing down, and you can expect some amazing songs at your work party! Colleagues of all ages will enjoy a 1930s themed party as the guys get dressed up in suits, ties and hats, and the women wear shoulder pads, fur, pearls and long flowing dresses! Incorporating the 1930s styles and sounds into your trade show or product launch is a great idea to boost your brand! We highly recommend hiring a 1930s Tribute Act to swing into town as they will get everybody interested and will encourage a big crowd! The best musical styles from the 1930s also include depression era Folk with singer songwriters like Woody Guthrie. It also covers amazing Blues acts such as the unforgettable Robert Johnson. A 1930s Tribute Act will consider all of these styles and more at your party! Hire a 1930s Tribute Act for your 1930s themed party and have some post World War 2 music cheering everybody up! How much do 1930s Tribute Bands cost to hire? Our simple to use entertainment directory allows you to firstly search for the best 1930s Tribute Acts who are local (or travel to your area) and then via the contact form you may contact them directly to enquire for a no obligation quote to perform at your event. Some acts will also add a rough price guide to their profile for your convenience. What are the usual set formats and performance length for 1930s Tribute Bands? How much space will 1930s Tribute Bands need at your event? A 1930s Tribute Band may come with a full line Jazz Band which could have 10 members or more. We would therefore recommend stage dimensions of 7 metres wide and 5 metres deep. What equipment and set up requirements do 1930s Tribute Bands need? As with most artists who sign up to Entertainersworldwide.com, a 1930s Tribute Band will provide all of their own equipment. You may want to enquire if an artist needs a PA to amplify their sound, in which case we would advise to use our easy to use messaging service to find out. We do ask that each performer gets a backstage area in which they can prepare for the performance ahead. If your venue does not have a backstage area, then we kindly ask that you enquire with the venue to seek an alternative space in which the performer can comfortably get ready to entertain. How can you find and book a 1930s Tribute Band with Entertainersworldwide.com? WANT TO RECEIVE A RANGE OF QUOTES FROM 30s Tribute Bands?